CLaire Bugni bidrager til dette formål ved at tilbyde undervisning. Du kan læse mere om CLaires undervisning til højre. 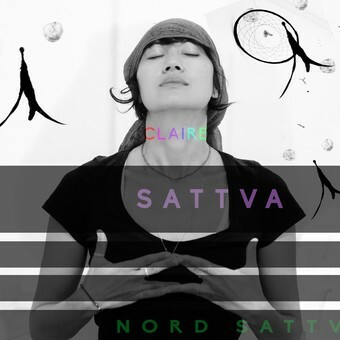 Sattva means whole balance truth, Rooted in the rich Vedantic Himalayan traditions Sattva yoga is an evolving path. Yoga is NOW. Sattva yoga classes are ever evolving and inclusive. The classes are rooted in the energy of the class collectively, so no class are the same. Hatha yoga asana (physical movement), meditation, pranayama (breathwork), kriya (expanding and liberating movements from ancient Himalayan Kundalini tradition), deepening connection and devotion through Laya, Bhakti and Sufi practices, the healing power of mantra-chanting, freedom movement, partner work, soul-gazing and timeless wisdom. Each journey is different, some is more meditative, yin-based self-connecting “Sattva Serenity” type of class while other classes are more dynamic, enlivening and soul-shaking “Sattva Wisdom Warrior” class.